As our story begins, a lone adventurer has booked passage aboard the merchant ship Crescendo, sailing north to the site of a mysterious magical endeavour that is widely rumoured to provide all of Irid with a measure of refuge from the chaos of the Everthroes. Much to the relief of all aboard, the Crescendo's month long voyage has been largely uneventful, but with mere days remaining until landfall, disaster strikes...the adventurer awakens in the middle of the night to find the ship adrift and a strange affliction has beset the crew. Something sinister lurks both above and below the waves, and our hero will have to use all their skill and cunning to have any hope for survival. A PDF download of Adrift in the Dark: a one-shot 5E adventure that I’ve written and designed to be played as a Duet. 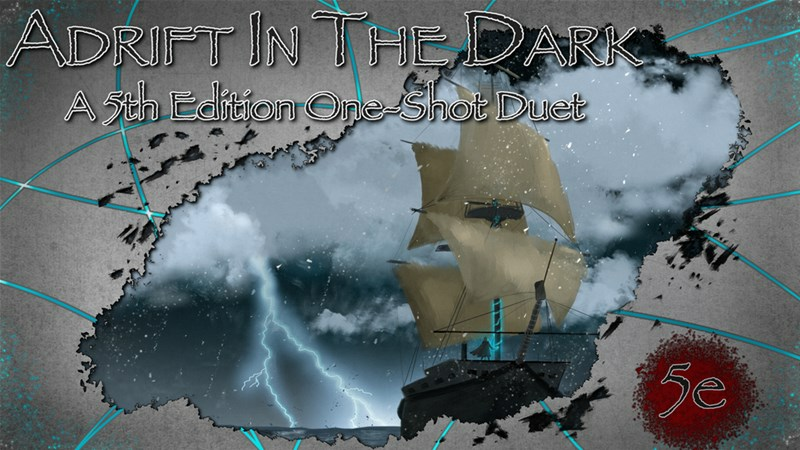 This short mystery/thriller adventure takes place aboard a pair of drifting ships, and is suitable for new players and fledgling Dungeon Masters, but still has plenty to offer those with more experience. Most groups finish the adventure in 4 to 5 hours. Check out a preview page of the first draft below. The campaign is up and running now. It's set to go for another 17 days.